Taking an objective look at my armor, and thinking about where it can go, and what story it can tell, some viking additions seem in order. Although not watching Vikings on the History Channel, there may be some inspiration there. My current shield, although an awesome giant scarab beetle, really does not tell that story very well. Fortunately I found some inspiration for the new look. Skallagrim posted a very nice tutorial on making a viking style shield. To build the larp version there are going to be some changes needed. But for the most part, we’re going to stick to his instructions. Take a moment and watch his tutorial on How to Make a Viking shield on a budget. 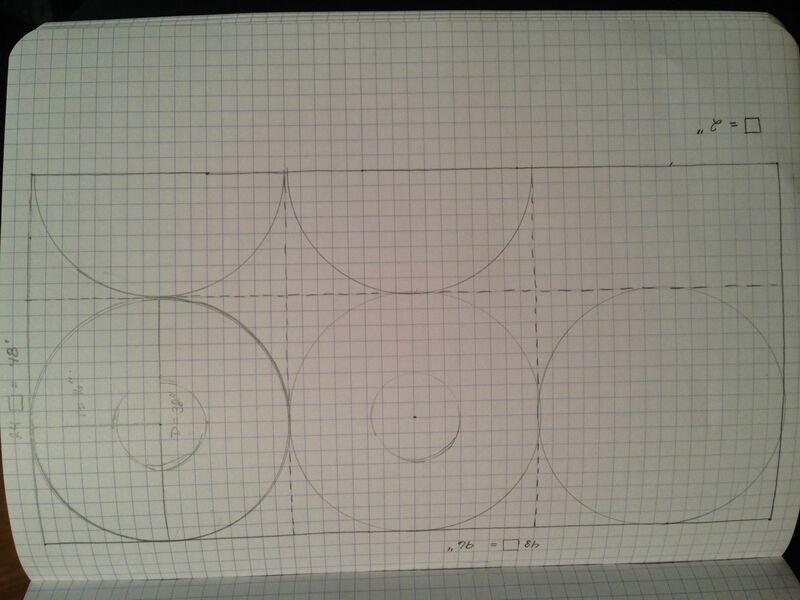 Here are the initial plans for the larp version. 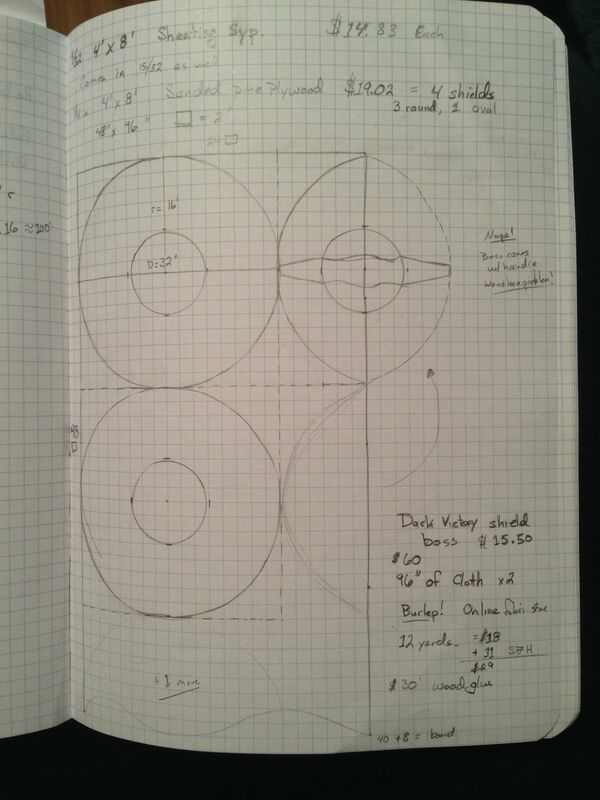 As you can see, I’m still prototyping with graph paper. Never go without it. Each square is 2 inches. The large rectangle is 48 by 96 inches. Which is roughly the size of one retail piece of plywood. With one plywood sheet you can make four 32 inch viking shields. You’ll notice that the diagram is actually off by two squares. Which is corrected in the next image. So that means 4 shield boss are needed. As this is larp the Dark Victory Shield boss will do fine. It will be more than durable enough, and be less expensive than metal. As we’re going to have foam and duct tape on this thing the plastic look should not be too much of a problem. If your shields were being used in SCA combat, or actual combat, a metal boss would be worth the extra cost. Although the picture is upside down, but these are the correct dimensions. You can see that one shield is actually cut in half. It will need to be glued together. The Dark Victory Boss comes with it’s own grip which probably should not be used on the half shield. The historically accurate grip might bet better for that shield in order to hold the two halfs together. To save some cost we’re going to use burlap to cover the shield with. To meet larp rules we’ll need to add plastic tubing around the edge which will replace the raw hide. At the moment, the idea is to use the burlap and glue to hold the plastic to the shield. On top of that we’ll need some pipe insulation. Blade foam is usually 3/4 inch thick, but we can most likely use the thinner insulation. The edge of the shield needs to not break weapons. These shields should never be used for striking. 12 yards burlap $20 if purchased in person, $30 if bought online. 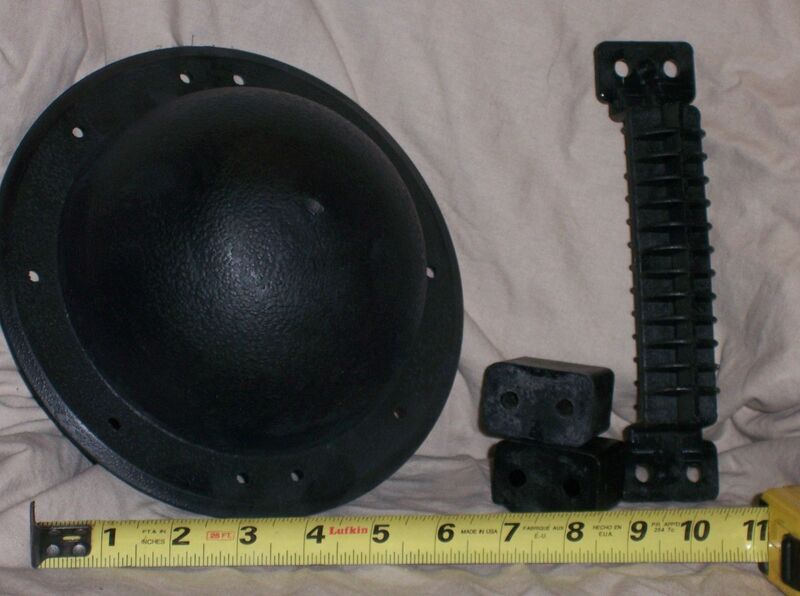 4 Viking Style Shields approximately $170 total (plus or minus tax). Assuming a full sheet of plywood is used. $42.50 per shield. Not bad. It’s tough to find even a cheap shield online for that price. How to set up a larp fiasco.